Things are beginning to open up around Alaska. Almost all of the “tourist attractions”, from the Riverboat Cruise, to the Wildlife Tours, Glacier Cruises, etc., will open for the season between now and Memorial Day. We’ve been here almost a month and most of the attractions were not available, so we spent lots of time getting familiar with the RV park routines and exploring Fairbanks. 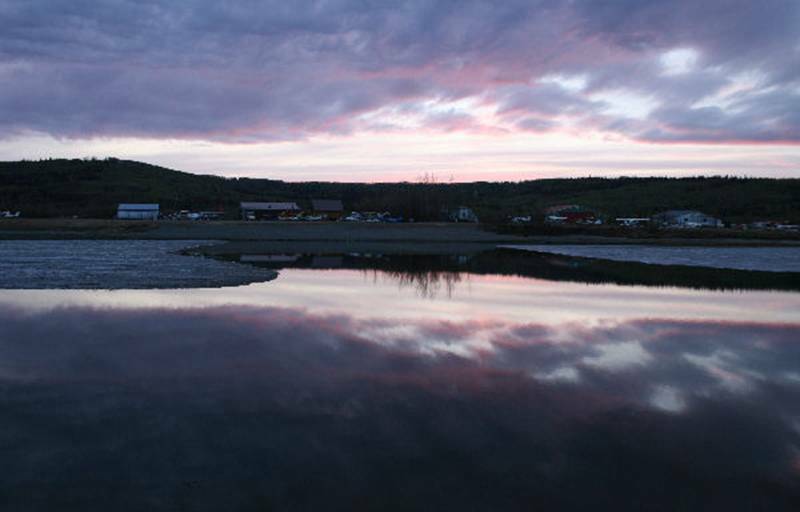 The RV park is about three miles southwest of Fairbanks. You might say it’s in the suburbs. There are no “city services” out here. All of the water used in the RV park is brought in by truck and stored in three underground tanks. It’s not an uncommon situation for folks living in the suburbs here around Fairbanks, the second largest city in the state. There is a business called “Water Wagon” that sells and delivers water to area homes. 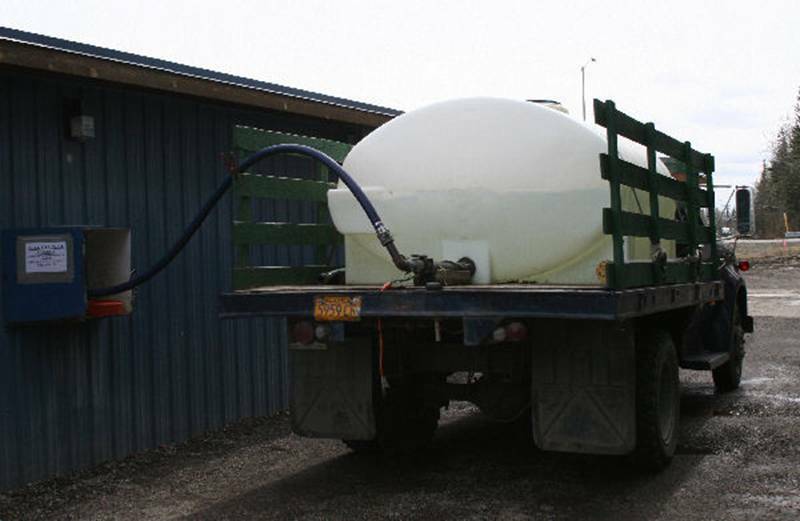 The cost for bulk delivery is about $.05 per gallon. If you don’t want to pay that much, you can take your containers to the company, and fill them up for $.03 per gallon. They have coin-op machines where people can pull up their vehicles and either fill individual jugs or a large tank in the back of a pickup. Here’s a photo of folks filling up at the water station this afternoon! A third alternative is to establish a contract with Water Wagon and become a “Bulk Fill” customer. The RV park has a water truck with a 1000 gallon tank which we drive down to the water station and fill up. We pull around the back of the building pictured above and have a key to unlock a box where the water valve is located. At the end of every month we report to Water Wagon how many gallons we have used. The park pays $.015 per gallon. There’s at least one trip every day. Many days there are three or four trips. Depends on how many people are in the park taking showers and doing laundry. Here’s a shot of the truck getting its fill this afternoon. You can’t tell much about the truck from this view, but suffice it to say, it is NOT a new truck. It has a four-speed floor shift, and quite a few rattles. I think it is 70s vintage, but it still runs pretty good…once you get it started. There’s a push button on the dash that makes the horn work! Beep, beep! … and it was 11:00 PM Alaska Daylight Time. Why do they need Daylight Savings Time in Alaska anyway?